How to watch Resident Evil (2002) on Netflix Bangladesh! Sorry, Resident Evil is not available on Bangladeshi Netflix, but you can unlock it right now in Bangladesh and start watching! With a few simple steps you can change your Netflix region to a country like Spain and start watching Spanish Netflix, which includes Resident Evil. 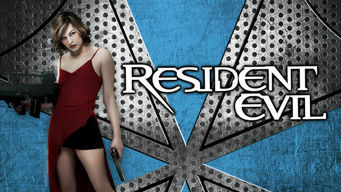 We'll keep checking Netflix Bangladesh for Resident Evil, and this page will be updated with any changes. Resident Evil is not available in Bangladesh BUT it can be unlocked and viewed! When a virus leaks from a secret lab and turns all the researchers into zombies, the government sends in an elite task force to contain the outbreak. A gorgeous warrior leads a team into a fortress to hold back a deadly outbreak. Failure means zombies. Lots of them. There is a way to watch Resident Evil in Bangladesh, even though it isn't currently available on Netflix locally. What you need is a system that lets you change your Netflix country. With a few simple steps you can be watching Resident Evil and thousands of other titles!